They were consistent and caring. The staff and the gal that we had were very consistent. They made my life easier by helping me do a lot of things. I am also getting older, and I was constantly taking care of my loved one. They were good about checking out and fixing problems. They give me breakfast in the mornings and help me shower. They are very good. They do things without me having to ask. They helped the most by just being very caring, and they caregivers cared how he was feeling. I like the caring and personal touch that they had when they came into my home. She cooks for me and cleans the house for me. They take care of everything, whether it is taking care of me or something else. They do all the things I ask them to do. They are timely and the people we've had have been excellent. I'm quite pleased and have no interest in changing. When they come, they're very helpful. They alleviate me from having to care for him on days I work, and we can have free time to go and see other family. They're very professional, and the people on the phone and the scheduler are very kind and understanding. For the most part, the aides that come into my home have been extremely good with my mother. I am protective of her and they treat her with a lot of respect. They are very caring. It gives me six hours of freedom to go out to lunch with my friends. My brother comes over every day to visit with our mom. If I have a doctor appointment or something like that, he is more than happy to be here. Although, he is 69 and I am 73, so we are not in the best health. I don't always have to rely on him and take him away from his family because we have Right at Home to watch our 99-year-old mother. I like the caregivers they send us. They all have been very good, responsive, reliable, and have great communication. It puts my mind at ease to know that they are there, because with the other companies we had, the caregivers would never show up. I like their service providers. If I ever have any challenges, I can reach out to the owner and he will fix it. We can't continue on without them. It has had a positive impact. Our experience with the staff of Right At Home has been excellent. Their service has been steady and reliable. They are also flexible and eager to provide continued support when our needs change. The staff has made every effort to assure us that our loved one is able to maintain the highest level of comfort and dignity possible. They work as a team to provide this high quality of care. We have been impressed with the interest and care shown by not only the caregiver, but all other members of the staff. Our family has been using Right at Home from Sun City for over a year and a half. The service providers are always on time. They’ve built a wonderful relationship with dad. If there’s ever a concern or challenge I just reach out to the owner Victor and takes care of it. They're reliable. They've helped by running errands and going outside the house. I like that we are right at home. They have helped her by helping with everyday things. My mom needs all constant care. There was a good introductory meeting and I liked the fact that my son's needs are met. It allows me to go on vacation. I like the service they provide. They are competent. They have made my life a lot easier. Right at Home has a great manager that makes the experience personal for me. Right at Home makes my life better because they give me an extra set of hands and eyes for my mother. I am less worried. They're very attentive, and very reliable and caring. They have made life easier by giving me time to run my errands. Right at Home is on time, and they get their jobs done. They do a good job. The services are a relief to me, as my loved one's care was getting stressful for me. The caregivers truly engaged my loved one by finding activities my loved one liked such as playing dominoes, and helped him get outside the house. The days the caregiver came he really came out of his shell. My Right at Home caregivers have always been very helpful and trustworthy. Right at Home is able to help me with things around the home. I would tell someone that Right at Home has some good people associated with them, and I am quite happy with them. We don't have a whole lot of ability to go out and do things, so we need the caregivers to get things done for us. Right at Home is such a good company to hire because the owners are caring, accommodating, and made personal phone calls to see how I was doing. The services made the client's life easier because she was receiving care. Therefore she didn't feel emotionally guilty for not allowing me to leave the house. The care was good and competent. The services relieved stress. Right at Home does a good job and I am quite satisfied with the work that they do and the people that work for them. The services have helped the most by being available when I need them. Right at Home was very responsive and provided for my loved one's care and needs. The services were very helpful to me because I could talk to the office staff at any time. Highly recommend this service. They were able to schedule 24x7 care for my parents on short notice. Now when we need an occasional caregiver we call RAH and always get a quick response. Very well run business. All the caregivers are certified, experienced and professional. Right at Home is an excellent service. The nurses were wonderful. The nurse was very kind and wonderful. Right at Home has caring people, and they made sure my needs were met, as well as my loved one's needs. Right at Home was a big help to me and allowed me to take a vacation. My husband was in the hospital at the time, and the care provided allowed me to spend time with him. I would tell someone that the caregiver from Right at Home was wonderful. She took time for us to get to know each other so that I would be more comfortable. My caregiver could reach up and clean things that I can no longer reach. She took extra special care because a lot of my things were collectibles. Dear Victor, I just wanted to thank you personally for all your help. It was such a pleasure to work with you and Right at Home. You were able to staff a very high quality caregiver quickly in an emergency situation. You also provided continued quality caregivers and great customer service. I was also impressed with your caregiver, and the wonderful additional schedule she created that went beyond the basic parameters I set. It gave the client such consistency. Please also express my gratitude to her. She was truly fantastic, and the client loved her. I was pleased that you were able to provide such good, consistent staffing. You also were very flexible, and did an amazing job adjusting to our needs when the schedule had to change; and I know that happened often. You provided such great and personal customer service. 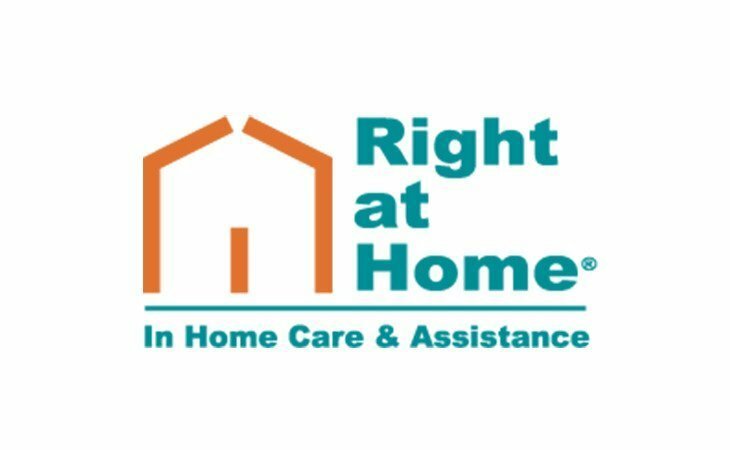 What should caregivers and potential clients know about Right at Home Sun City Center, FL?